The final shot from my current batch, and one of my favorites for sure! While it may be an annoying bottleneck-creating obstacle, the Orbitor makes a great first impression for guests entering Tomorrowland from Main Street! See you in a few weeks with some brand new, magical Disney photos, everybody! 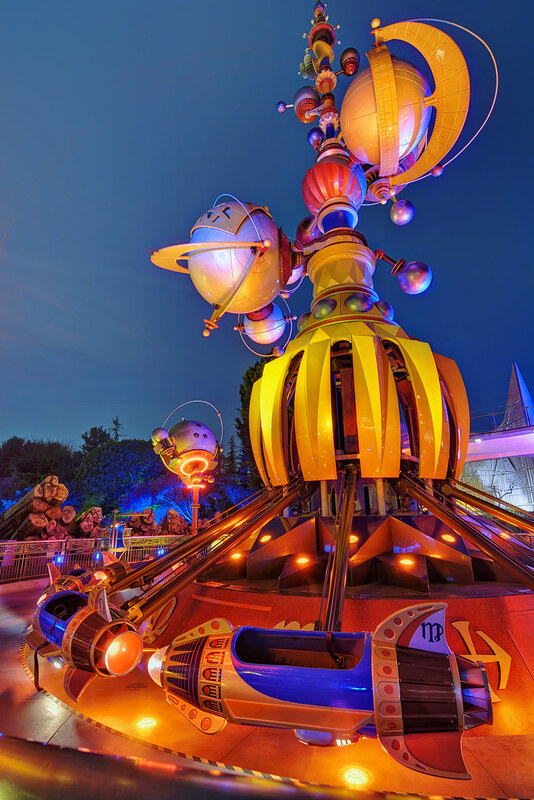 This entry was posted in Tomorrowland and tagged Astro Orbitor, HDR, Rocket Jets, tomorrowland. Bookmark the permalink.